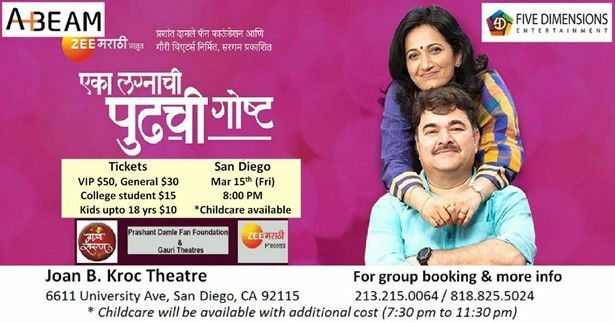 Please note EKA LAGNACHI PUDHCHI GOSHT Marathi Play/Drama - San Diego occurred in past. Taking a cue from modern-day marital situations, writer-director Advait Dadarkar presents a story of Manisha and Mano's life from premarital to post-marital days. 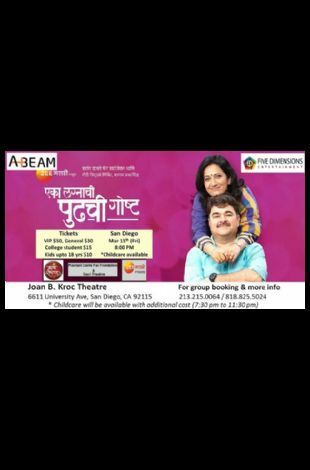 While the setup is modern, the traditional values are retained, making this sequel of the hugely popular play Eka Lagnachi Goshta a laugh riot.